Mount Joy Wire Corporation is excited to announce AmeriCoat™ music wire. At Mount Joy Wire, we bring value. 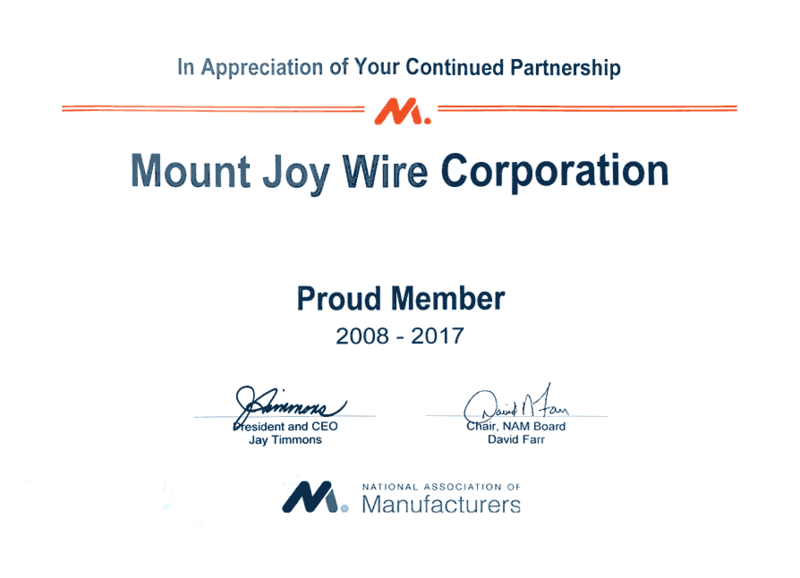 Mount Joy Wire has been a global leader in the Specialty Wire Industry for over 20 years. As a trusted manufacturer of high quality spring and oil-tempered wire, we have brought value to a diverse mix of customers. Mount Joy Wire is proudly made in the USA. Mount Joy Wire produces high quality, U.S. made products for a broad range of industries.